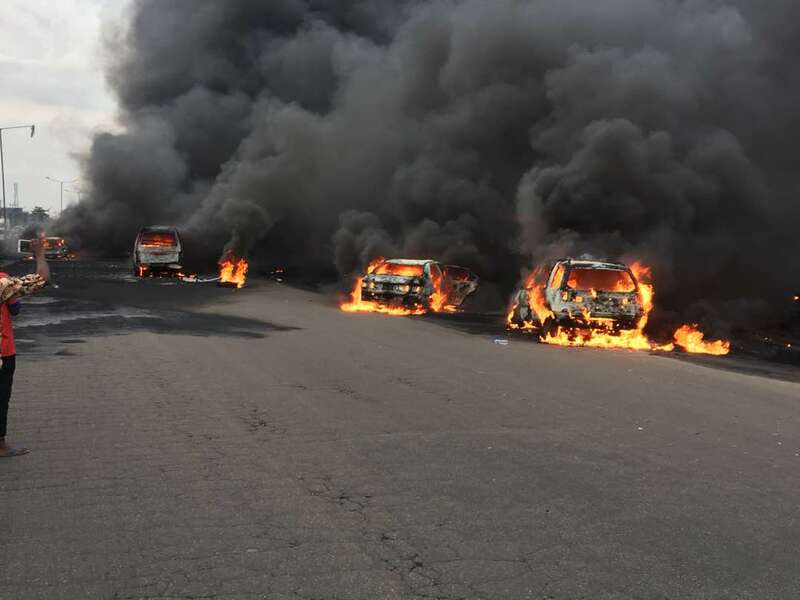 Nine lives have been confirmed dead and a total number of 54 vehicles burnt after a tanker carrying petrol crashed and exploded on Otedola Bridge in Lagos, Nigeria. 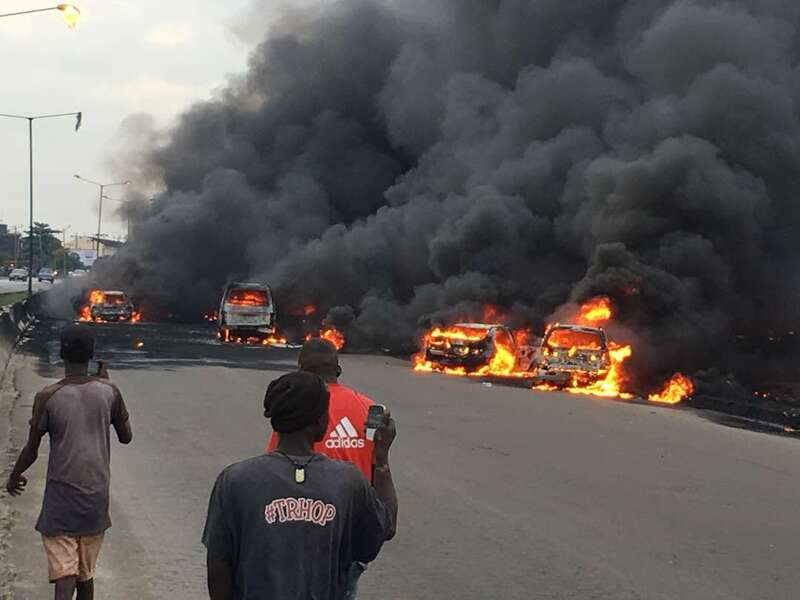 The tragedy occurred on Thursday as it is said that the vehicles burnt which most of them were minibuses were at the time of the incident travelling behind the tanker. 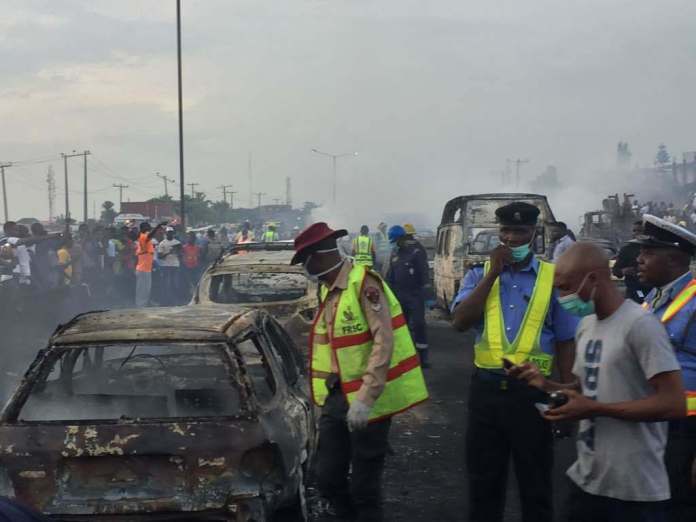 According to The Punch, some motorists who made a U-turn and attempted to flee the scene of the incident, crashed into other vehicles. 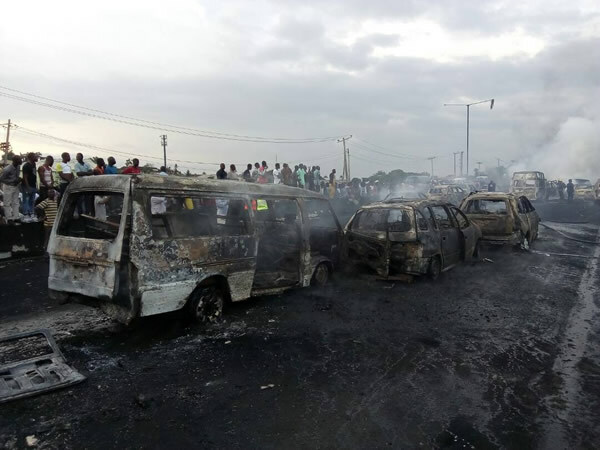 Meanwhile, the number deaths is expected to rise.